Investment has different meanings in finance and economics. In economics it is related to saving and differing consumption and in finance it means placing money into an object or item with the expectation of gaining something in return. Risk is always involved with investment whether it is with long-term or short-term. The phrase ‘speculate to accumulate’ appropriately refers to investment since as with gambling there are losses and wins to be found, but without giving you cannot receive. The first legal framework for investment was traced back as far as 1700 BC with the code of Hammurabi serving punishment for not paying financial obligations. In the 1900s purchasers of stocks and bonds were known as speculators and by the latter half of the last century the term began to be associated with high risk ventures. The main types of investment are traditional investment referring to investing stocks, bonds, cash or real estate and alternative investment referring to assets such as coins, antiques, art, gemstones, precious metals and other forms of collectibles and portable wealth. With the current world crisis now hitting a peak, investment advice is in demand as more and more people are seeking financial possibilities and solutions. Listed below are some of the most popular companies on the Internet who specialise in giving reliable and professional information in the world of financial advice. This is an American company which has been giving advice on investments and investing for over 17 years. Particular areas of expertise are Mutual Fund, stock market, real estate, gold, bonds, retirement and risk with details of each given on the site. The latest investment advice articles are shown and there is a special section for Investment plans where you can have a plan designed and reviewed to your personal needs. Free eBooks and newsletters are advertised and financial links are provided for further information. Qwoter’s aim is to educate investors and traders by giving them knowledge, news, information and tools in order to find a profitable investment. Many articles can be read on investing, retirement and stocks offering advice and tips from a list of categories with the latest financial advice highlighted. There is a section for recommended reading and a further section containing a list of establishments where investing course are available. A stock market dictionary is offered to assist in looking up investing terminology and any queries or questions are welcome. 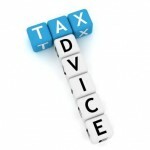 The objective of this company is to provide financial advice and guidance to the community for free. There are also a series of mini sites giving information on banking, borrowing, credit cards, insurance, investing and retirement; the links for these are given on the site. Each mini site has further headings that can be chosen to reveal articles. The investing section has information from bonds, asset allocation, stocks, basics, economy and mutual funds to choose from. Tools are provided for assistance and full details of the company can be found on the site. Money Week is one of the UK’s leading finance magazines keeping its pulse on the money markets around the world. News, reports, articles, blog, charts, photographs and back issues of the magazine offer tips and advice on finance and investing with current news, headlines and editors picks highlighted. Help is available throughout the site with a special section on personal finance. You can subscribe to receive free emails and newsletters as well as the latest issue of the magazine and you can take advantage of their special offer and claim three free issues. Investment U was founded in 1999 and receives 250,000 visitors every day. The section on resources contains videos, articles and advice on a wide range of investment topics with further tips, reports, strategies and forecasts found in Investment research. Advice and direction can be obtained from a list of financial experts with a bookstore, FAQ and full company details offered on the site. Invest Plan is part of Redrock Wealth Management, which is an independent investment management company based in Las Vegas. The company provides independent financial advice and fiduciary advisor services with no hidden fees or commissions. The logo of the company is ‘We work for you, not for Wall Street!’ Information can be obtained from the Investment Plan section and the Investment Review section with a portfolio passport being offered in Investment Management. Stansberry and Associates have a team of investment analysts whose expertise range from investing to insider trading to short selling. Information on investing can be found in articles, Podcasts, e-letters, news and events and names of analysts for consultation can be found. A list of services for investment and trading is offered with featured products and latest news highlighted. Testimonials can be read from satisfied clients and subscribing to the site is welcome. 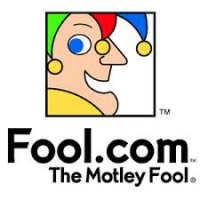 Fool.com is a popular site and ranked very high on Alexa.com. There are many articles on investing with topics such as how to invest, personal finance, dividends and income, high growth, mutual funds and retirement to name a few. Tips and hints can also be found in the community and blogs and the latest buzz and top stories are featured. A section is dedicated to bringing the latest positions in the financial markets and ‘hidden gems’ can be found in the Fool store. The site gives a list of categories with articles containing information on business, management and efficiency within the workplace. Sections offered are marketing, technology, finance, manufacturing, investing and employee health with a special section dedicated to small businesses. Subscription to the newsletter is recommended for receiving news on business leads and full details can be found on the site. Wealthdaily.com was founded in 2005 and offers free money-making insight into stocks, bonds, energy, commodities and real estate. Reports, articles and videos can be found on the site with the most reviewed and the top rated highlighted. Advice can be found in the editors section and in the ‘eLetter’ and a full FAQ is given on the site.